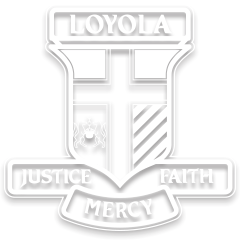 In order to become more ecologically sustainable Loyola College is integrating sustainable concepts and practices into the curriculum through both curriculum based activities, co-curricular groups and Government initiatives at both State and Federal levels. The College’s sustainability policy and its vision clearly highlight the long term goals we aim to accomplish over time. Loyola College aims to become a Sustainable School by reducing our ecological footprint through adopting sustainable practices in our everyday lives. We will achieve this by integrating sustainability into all areas of the curriculum and instilling a sense of ownership of and pride in improving the environment. We will lead the community by demonstrating exemplary practices in waste management, water and energy usage, and develop the school grounds to promote indigenous plant and animal biodiversity. The College is committed to Sustainability and endeavours to address emerging environmental issues by seeking to encourage student engagement, encouraging the growth of the whole person and by ensuring students interact with, and participate in, ecological endeavours.